Chantal Lace Dress on layer system for classic avatars includes an Appliers HUD Omega, Maitreya, Belleza, eBody& Slink. Includes a mesh skirt panel in 5 standard sizes to complete the outfit. Presented as exclusive at Swank for May. April SWANK them is based on the well-known film “City of Angels”… Heavenly is inspired on that film… A sleek design of simplicity and understated elegance. Spaghetti straps cross the shoulders creating a deep V bodice. It all form fits cleanly to below the knee where the gown blossoms out and pools lightly on the floor. 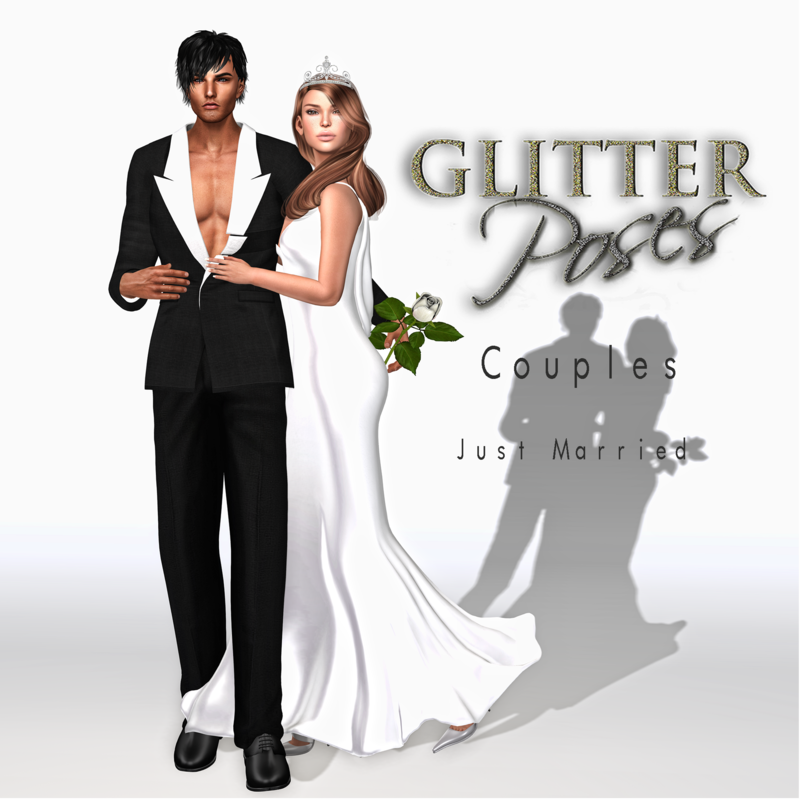 Fitmesh for Belleza, Slink, Maitreya and classic avatars with its own alpha layer. 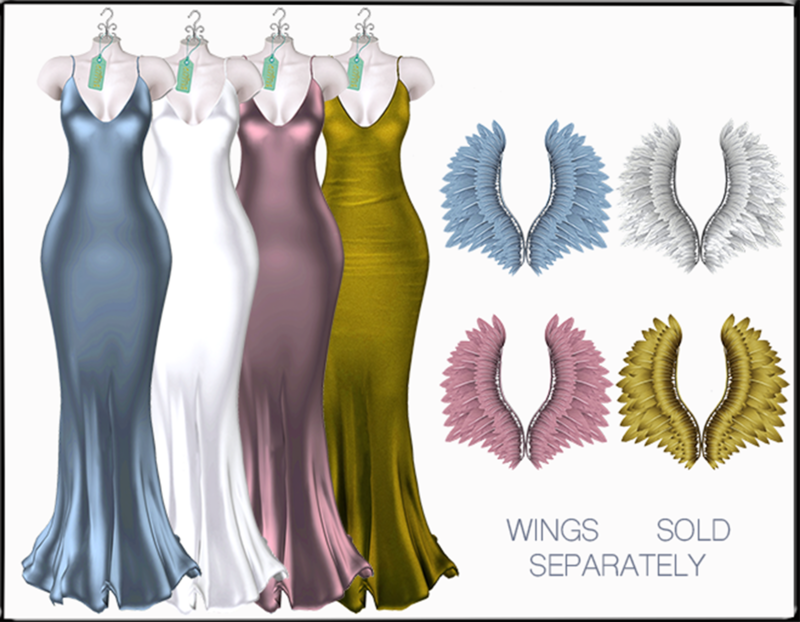 Gorgeous mesh wings that can be added to the gown giving that true angel effect. They are sold separately to get them at your choice.